My most rewarding challenge yet has been editing this singular feature documentary from director Paula Eiselt. 93QUEEN follows a tenacious group of women who are shattering glass ceilings in their Hasidic Brooklyn neighborhood by forming the first all-female volunteer ambulance corps in NYC. Premiered to rave reviews from The Hollywood Reporter and others at Hot Docs 2018. Coming to theaters late summer 2018 and broadcasting with POV this fall!! Exploring a point of view I was not previously intimately familiar with, this PBS documentary gave me the opportunity to listen to and craft together some very forthright and emotional firsthand stories from veterans of various wars. To paraphrase one of our subjects, “If the public understood war the way warriors understand war, we would be much more frugal in sending women and men to fight and die.” Produced by Michael Epstein. Watch now at PBS ! I had the pleasure of working with Ark Media in association with McGee Media, editing the final episode of this documentary mini-series airing on PBS Fall 2016. An expansive look at Black Americans’ achievements, struggles, culture, and politics over the past fifty years. Directors: Talleah Bridges McMahon, Asako Gladsjo, & Sabin Streeter. The companion book, pictured here, is already out! In this episode of Broadly Meets which I edited for Vice, Wendy Davis explains that, even in the wake of a major Supreme Court victory against the restrictive Texas law she filibustered in 2013, tons of people still can’t access their constitutionally protected reproductive rights in the U.S… and the situation could easily get worse. I edited a profile of artist Duke Riley’s piece ‘Fly By Night’ for The Creators Project. Featuring Duke and his flock of 2,000 homing pigeons, lighting up the night sky over the East River. I did additional editing on this feature documentary, which premiered at DOC NYC in 2015. A conference may not seem like a dramatic topic for a film, but when that conference is the most enormous –and most hotly disputed– gathering of women from all over the globe, it is nothing short of revolutionary. Directors Dyllan McGee & Michael Epstein. 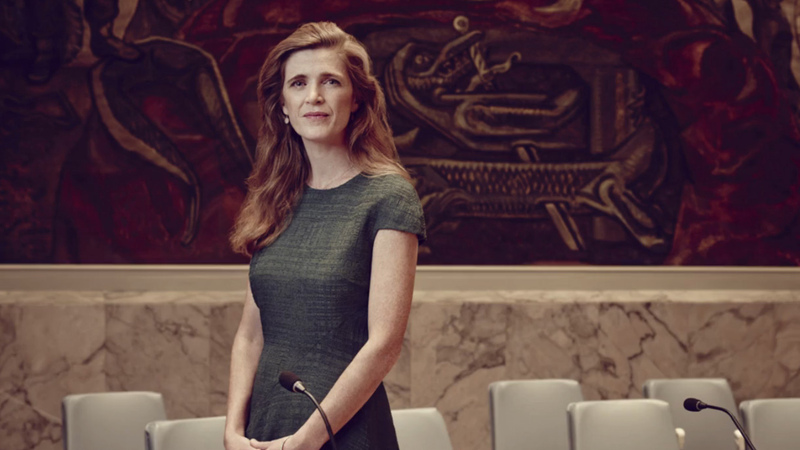 I recently had the pleasure of editing tribute videos for Ambassador Samantha Power and Mindy Kaling to honor them for receiving the Glamour Magazine Women of the Year Award!